Remember back in February when I sent a message out talking about what a monumental year 2015 was going to be? I mentioned some aggressive expansion plans for Smallfish and while I didn’t go into any further detail back then, I’m pleased to say that I can spill all the beans now. If you joined Smallfish post-February, well then you picked a good time! Everyone in the Smallfish team have been working extremely hard to take our product to the next stage of its life, build upon our platform to better it for our existing and future customers and further realise the overarching vision of Smallfish — the growth of a global network of shops and shop clusters that are intrinsically connected yet all unique. We are nearing a tremendously important milestone in our work. I’m excited to announce that very soon Smallfish will be formally transitioning our brand, our product, our company name and all of our efforts to Storbie. No more little yellow fish?! No more fishy puns?! I know — it’s hard to say goodbye to the brand we’ve all become very pond of (ha ha), but Storbie marks the start of something bigger and better, and I’m going to take this chance to explain why. Smallfish was founded in 2006 by myself and a small group of others, as an easy and affordable way for people to set up an online store. Our product was perfect for boutique manufacturers and the cottage industry which is why we called our business Smallfish. It was all about empowering the underdog. Many of those early shops are still with us and as we have watched them flourish and thrive online, we too have evolved. As larger businesses began using Smallfish, appreciating our store builder’s simplicity and ease of use, we have refined and transformed Smallfish into a system capable of supporting stores with thousands of products and large numbers of orders, while still remaining super-easy to use. At the same time we have realised that there is no reason to restrict our service to these shores and that a global market opportunity awaits. So while we’re still fully committed to making it easy and affordable for anyone to sell online, you could say we’re the company that outgrew its name. It has become apparent that we need to evolve our brand and say farewell to our little fish friend. Your customers can enjoy browsing and buying from your shop on desktop computers, laptops, tablets or smartphones. With your store optimised for any size of device, they’ll be ensured a fantastic shopping experience. When editing your shop, you can view what your customers will see on different devices, by hovering over the small ‘mobile’ icon near the Preview button. You can also upload alternative images or choose to hide an image when your store is viewed on mobile. With responsive design, your shop’s cart and checkout also display beautifully on any device. Also in your shop’s cart is a great new tool that estimates shipping costs based on your customer’s location and adjusts the cost of their order to reflect this. Customers are sure to find this useful to see before proceeding to the checkout stage. One of the many advantages of running your ecommerce store with us is the ability to apply new updates to your shop in a matter of seconds. We’ve released some new button designs and, you guessed it, they look fantastic on any device. Jump to the Appearance settings in your Manage Shop area to choose a style that fits your store. With the growing number of retina displays, you’ll want your images looking their best on screens that pack double the amount of pixels into the same space as older devices. In Storbie, you can now upload retina quality images (2X the pixel density) which will look sharp and crisp on these high quality screens. The Storbie Market is an online marketplace filled with over 100,000 products that are available to purchase from Storbie online stores. With all Storbie shops running on a shared platform, this enables products across different shops to surface together in a single location. 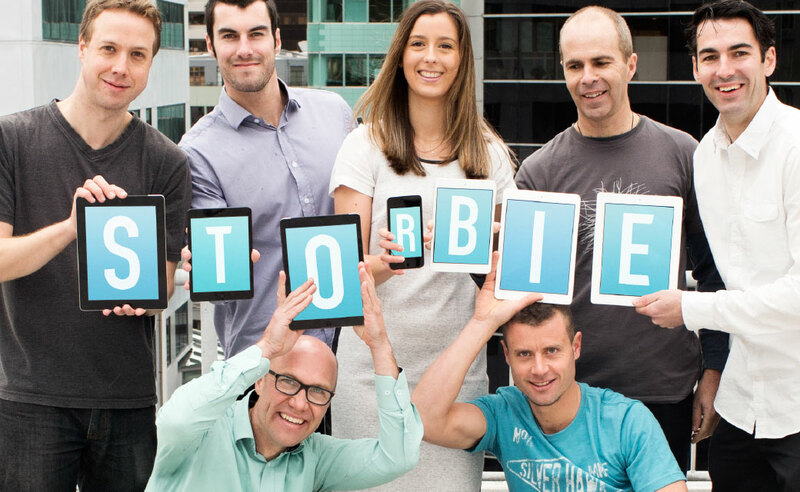 Unlike traditional online marketplaces that tend to de-emphasise a seller’s brand, we built the Storbie Market as an added channel to support the success of your ecommerce store. You don’t lose control of your individual brand identity. If an online shopper sees something they like, they don’t buy it from within the Storbie Market; they click through to your individual ecommerce website and make the purchase through your checkout. It is the intrinsic connections between Storbie online stores that enables the creation of marketplaces. Our product is evolving to include a marketplace builder so that anyone can setup and manage a marketplace of products from numerous Storbie online stores. Marketplaces have many applications in business and online commerce — shops and products can be clustered together by anyone or any group that recognises a commercial opportunity in collectivity. Shops belonging to a specific region or retail destination can band together to create the virtual equivalent of a mall or retail precinct. We have some awesome NZ marketplaces in the pipeline which you can be a part of so stay tuned for the launch of these. The Support team will be reached at support@storbie.com. You can still contact them at support@smallfish.co.nz if you forget. All of our user guides will be found at support.storbie.com. We will send out updates and links to the above new pages when these changes happen. We know this is a lot to remember so don’t worry if you instinctively head to a Smallfish URL, you will be redirected to Storbie. Finally, I’d like to thank you all for your support. As with any undertaking such as this, we expect it will take a bit of time to get everything in order and working as it should, so please bear with us as we go through this transition period. Our first and foremost goal is to make sure that all our customers continue to receive the best possible service and experience while using our product, so please don’t hesitate to get in touch with our Support team if you experience any issues or have any questions. Hi Allie! Thanks for your message, we can move your shop over to Storbie very soon (today even!). Someone from our Support Team will be in touch via email to make sure you have all the information required for the move. Hi Marcus and Mhairi, apologies for this comment going under the radar! I see your store was moved to Storbie last week, I hope you’re both enjoying the new platform and new features. Any questions, don’t hesitate to ask. Hi Kate, thanks for the question. Our prices are going to stay the same, we introduced the current pricing plans not so long ago and have no plans to increase pricing. We will also always charge our New Zealand customers in $NZ even though we will be a .com. Let me know if you have any further questions.